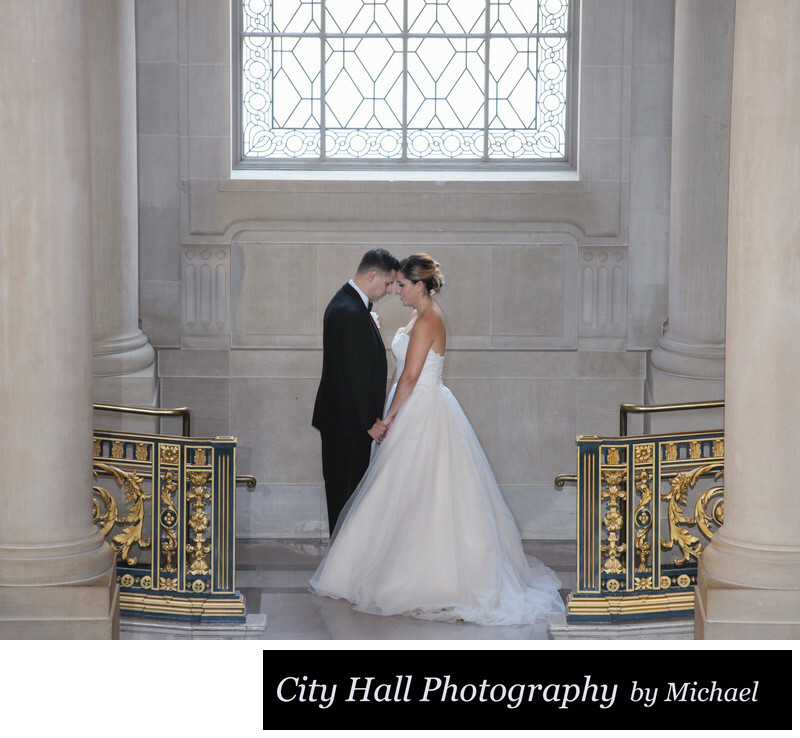 Every couple we work with at San Francisco City Hall is different. This particular one were very into posing romantically. We had no trouble getting them to show closeness and love in their images. Other wedding couples are less romantic and take a little more encouragement. We also often run into couples that ask us to not pose them in romantic types of situations and that's fine too. We always want to make sure we are providing our brides and grooms exactly what they want.